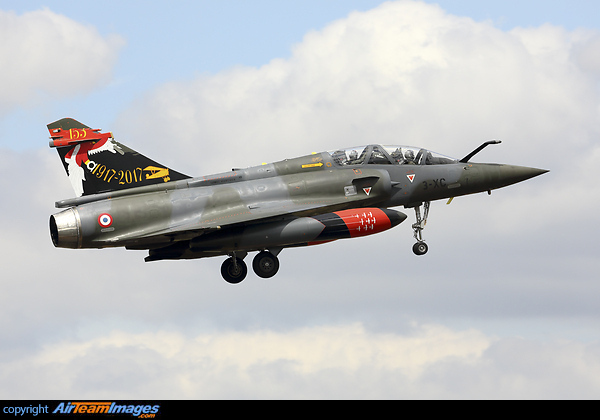 The Mirage 2000 is a multi-role jet fighter which was designed initially as a lightweight fighter. The Mirage 2000 has evolved into a successful multi-role aircraft now in service with nine of the worlds air forces. The Mirage 2000C interceptor were the first to go into service in 1983. The Mirage 2000B is two-seat trainer. The Mirage 2000N is the nuclear strike version designed to carry the (ASMP) Aerospatiale Air-Sol Moyenne Portee nuclear stand-off missile. 1 x Snecma M53 (14500 - 21400 lbf) turbofan engine.